UPS shares sank more than 5% on the news Friday morning. Shipping giant UPS said Friday that it expects weak second-quarter results, a worrying signal about the health of the economy. UPS attributed its performance to an increased preference among customers for lower-cost shipping options, a "slowing U.S. industrial economy" and an oversupply in the global air freight business. Because so many industries use shipping services as part of their businesses, UPS and rival FedEx (FDX)are often seen as bellwethers for the broader economy. David Urani, a research analyst at Wall Street Strategies, said customers typically gravitate to lower-cost shipping during weak economic times. UPS's warning about the slowing industrial economy is consistent with other data showing weakness in the sector, he added. As for overcapacity in the air freight market, Urani said a number of carriers appeared to have built up their fleets too quickly in anticipation of growth in Asia that hasn't fully materialized. "These are all factors that have been ongoing," he said. FedEx also reported weak quarterly results last month that it attributed to "tepid economic growth and customer preference for less costly international shipping services." The company added that it planned to "further decrease capacity between Asia and the United States in July." 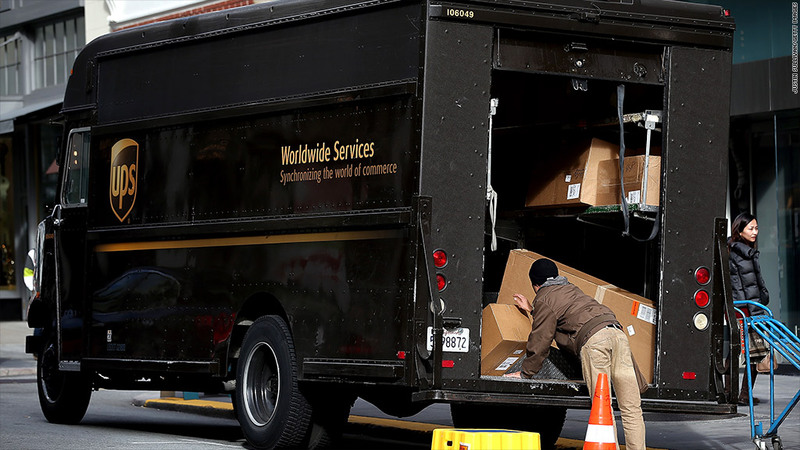 UPS now expects second-quarter earnings of $1.13 a share, compared with the $1.20-a-share prediction from analysts surveyed by Thomson Reuters. UPS also cuts its full-year earnings guidance to between $4.65 and $4.85 a share, down from an estimate of $4.80-$5.06 earlier this year. UPS (UPS) shares slipped 5% on the news Friday morning. The company will officially announce its second-quarter results on July 23.